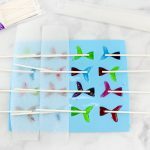 These easy-to-make Mermaid Tail Lollipops are the ultimate treat for any child (or adult) who’s ever dreamed of flipping their sparkling fins and exploring under the sea just like Ariel from The Little Mermaid. 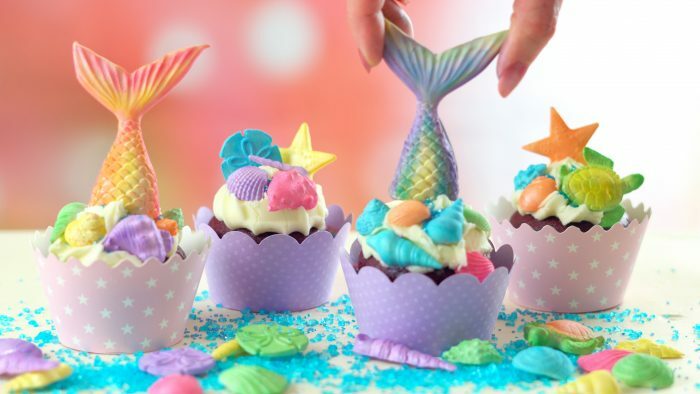 They are the perfect addition to any Mermaid-themed birthday party! 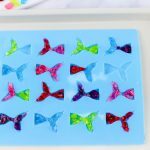 The Silicone Mermaid Tail Mold can also be used to make chocolates, homemade soaps or as a topper on cupcakes. Cut or break Jolly Ranchers in pieces. 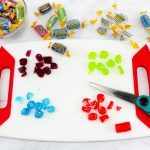 They cut pretty easy with scissors, but you could also place each color in baggies and hit with a rolling pin to break up as well. Fill each mold with pieces of the candy. Make sure to fill the entire mold. Place on a sheet pan and stick in oven for 5-6 minutes or until all pieces are melted. 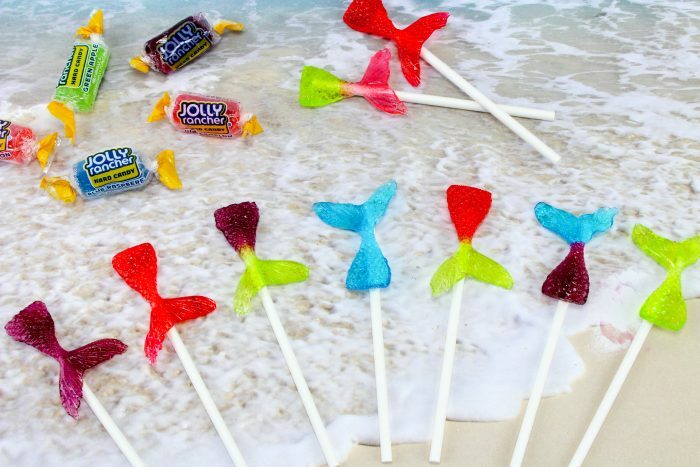 Take out and place lollipop sticks on each tail. Since the sticks will be touching, place a strip of parchment paper over each row of lollipop sticks. Let cool. 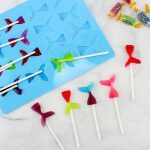 Once cooled, pop out each lollipop from the mold and enjoy! !